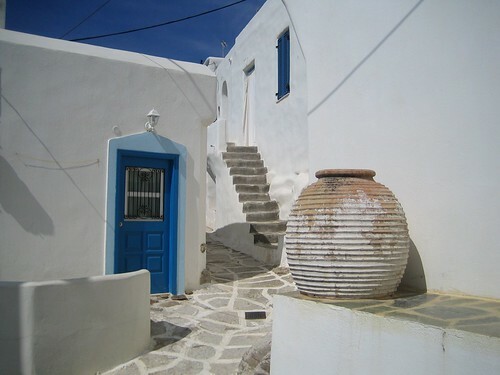 You Are Here: Home » Travel » The Grecian Problem – Does The Euro Crisis Make It A Good Or Bad Time To Go Greek? 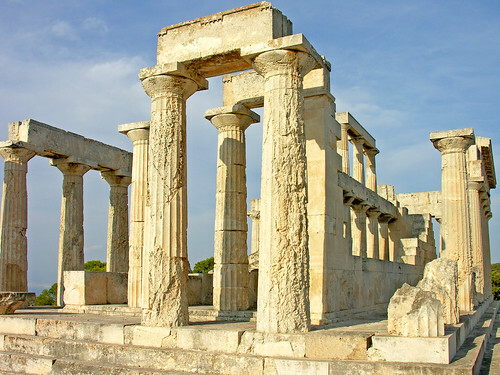 The Grecian Problem – Does The Euro Crisis Make It A Good Or Bad Time To Go Greek? Anyone who’s watched the news can’t have failed to see the stream of stories about the state of Greece’s economy. The country, currently experiencing some of the greatest political upheaval in many years, is struggling to “balance the books”. Many Greek people are finding themselves either out of work or working for next to nothing while the government defaults on international loans to prop up public expenditure. With news stories showing public demonstrations sometimes descending into riots and wildfires burning out of control, some people may be put off travelling to Greece for their summer break this year. However, there are a number of reasons why there’s no better time to go. With apprehensive travellers worried about taking a trip to Greece in the current economic climate, there are lots of cut-price deals to be had across mainland Greece and the Greek Islands. With a seven-day package holiday in a three star apartment coming in at around £200, now is a great time to choose Greece for your summer holiday. Your buying power while you’re in Greece is better than it has been for a number of years. From a ten-year low in 2008, when there was one-to-one parity between Stirling and the Euro, the value of the Euro against the Pound started to fall significantly last summer and is now sitting about approximately €0.80 to the Pound. With fierce competition in a tourist sector increasingly pushed for patronage and the growing strength of the Pound in Europe, Greece is an excellent choice for those who are looking to make their holiday money go further this summer. If you want to save even more money, try a camping holiday. Greece is full of great campsites with lots of facilities, visit a site like Outdoor World Direct for all your camping needs before you travel. The current financial climate is hitting the Greek people hard. Many have been working for no pay and struggle to feed their families. One of the main generators of income for Greece is its tourism. Every year, nearly 15 million people visit the country and bring in a huge proportion of the 85 per cent of Greece’s income which is generated by the service sector. Reports from Reuters in June 2012 give predictions of Greek tourism falling by 15 per cent this year, and for an economy that is already ailing, that spells bad news for the Greek people. Caution though, there are a few things to bear in mind when planning your trip. Disgruntled Greeks, dissatisfied with the way their government is handling the country’s economic crisis, are staging frequent protests in central Athens. Although these are largely peaceful, violent incidents have been known to take place and tear gas has been deployed on more than one occasion. It makes sense to steer clear of such protests if you encounter them to ensure your safety. Another way the Greeks are giving vent to their frustrations is with frequent strikes, often at short notice. These strikes often affect public transport and can include airports, affecting the ability to get in and out of the country. Always check with your airline before setting off and ensure your travel insurance covers you for disruption of travel plans. Although it’s always wise to be cautious when travelling to any destination, there’s no reason why now isn’t a great time to visit Greece or the Greek Islands. With plenty of cheap villas, restaurants and cheap camping equipment available and waiting to be snapped up and the value of the Euro making your pound go further, now’s the time to get your Grecian getaway. Image Credits: archer10 and sataylorpix.